Jainism has always held a predominant position in Karnataka. The relation between Karnataka and Jainism has been as continuous as it has been close. For centuries Jainism was Karnataka’s state religion. in one of the inscriptions, a poet describes ‘Karnataka Desa’ as follows:”The lovely land of Karnataka is resplendent with a variety of achievements: it is the abode of Jainism, it is the home of unfailing courtesy, it is the residence of Brahma, it is the realm of great renown, it is where we find the very springs of knowledge and wealth, it is the dwelling place of matchless splendours where goodness and serenity reign”. It is understood that in the 3rd century B.C. driven southwards by famine conditions in the north, the Mauryan Emperor Chandragupta along with his preceptor Bhadrabahu and twelve thousand other Jain sages, travelled to Karnataka and settled down at Shravanabelagola performing austerities. There are even now at Shravanabelagola for anyone to see, the Basadi of Chandragupta and the cave of Bhadrabahu. It is quite likely that even prior to their arrival here, Jainism had a firm foothold in Karnataka. However, the history of Jainism in Karnataka can be traced continuously since its advent. Jainism has flourished for over 2000 years in Karnataka as a vital and powerful force. Jainism as a religion received patronage from the Kadambas, the Gangas, the Rashtrakutas, the Chalukyas, the Hoysalas, the Santaras, Chengalvas, Kongalvas, Mysore Wodeyars, Saluvas, Vijayanagar rulers and other dynasties. It is only natural that in Karnataka, where Jainism as a religion received State and royal patronage, many temples and monuments have been dedicated to it. Prominent Jain temples – Chandragupta Basadi & Akkana Basadi at Shravanabelagola, Parshwanath Basadi at Halebid, Chaturmukha Basadi at Karkala, 1000 pillars temple or Tribhuvana Tilaka Chudamani Basadi at Moodabidri, Pancha Basadi at Humcha/Hombuja, Chaturmukha Basadi at Varanga, Kamala Basadi at Belagavi/Belgaum, Shanka Jinalaya at Lakshmeshwara, Shanthinath Basadi at Nittur, Panchakuta Basadi at Kambadahalli, Chaturkumkha Basadi at Gerusoppa/Gerusoppe, Ratnatraya Basadi at Bilgi, Brahma Jinalaya at Lakkundi are some of the prominent Jain temples that provide testimony to the antiquity of Jainism in Karnataka. 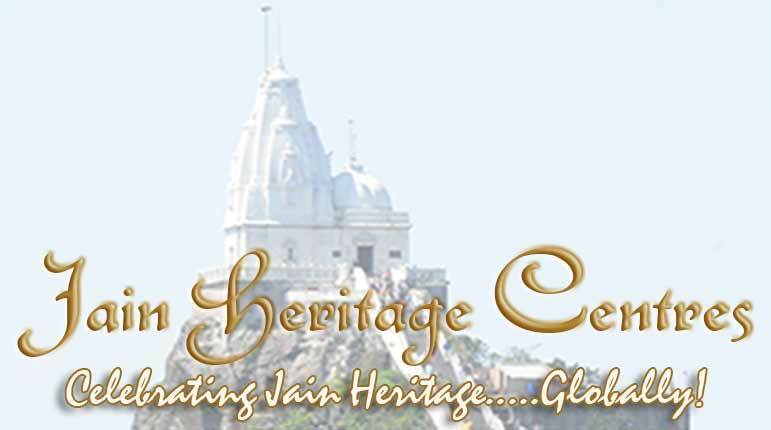 Jain Inscriptions in Karnataka – More that 2000 Jain inscriptions are found in different part of the state. Shravanabelagola, Koppala, Humcha/Hombuja are some of the prominent Jain sites in Karnataka with ancient inscriptions. In addition to these, we can also find inscriptions at state archaeology department museums (at Hassan, Shivamogga/Shimoga, Coorg/Kodagu/Madikeri, Mysore/Mysuru, Chitradurga) and museums (at Halebidu, Lakkundi, Aihole, Hampi) managed by the Archaeological Survey of India (ASI). Inscriptions that are spread over a period of 15 to 16 centuries starting from 400 AD (at Shravanabelagola) to early part of 20th century are found in various Jain heritage sites in Karnataka. These provide much more historical poofs and references about the antiquity of Jainism in Karnataka. Sallekhana/Santhara Inscriptions – Karnataka is also a prominent state known for the practice of Jain rituals and they have been entwined and closely knitted with the people of the state. One such ritual is the practice of Sallekhana/Santhara that was practised over 15 centuries. Inscriptions related to this are spread all over the state. The prominent among them is Shravabelagola with over 150 inscriptions documenting the practice of Sallekhana. Koppala is another prominent Jain site with over 40 inscriptions related to Sallekhana. We can also find many inscriptions related to he practice of Sallekhana in Haveri, Dharwad, Hassan, Mysuru, Coorg and other districts. Manastambha & Brahmastambha – In addition to the temples/Basadis and inscriptions we can also find many Manastambhas & Brahmastambhas in Karnataka.